Mending and Restoring China by Thomas Pond. New York. Avenel. 1970. Reprint. Hardcover. Very Good in Very Good dust jacket. Previous owner's name. DJ is worn at edges. Black and White Illustrations. 58 pages. 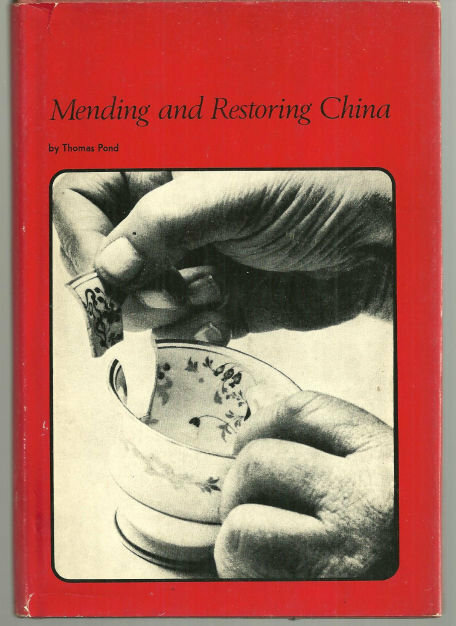 Items Similar To "Mending and Restoring China by Thomas Pond 1970 Illus"